If you’re like me- always adding text to photos, creating Silhouette cut files, creating project life journaling cards, painting signs, you might just be a little bit of a font snob, I can’t deny I might fall into that category! I love a good font especially when they are FREE! Today I wanted to share 14 Fabulous FREE Fonts with you- go on and grab them! Hope you enjoy these font freebies! I’m a fontaholic and you totally just fed my obsession. THANK YOU. haha. I think. LOVE these.. downloading them now. Thanks Lynne! I love coming across good freebies! 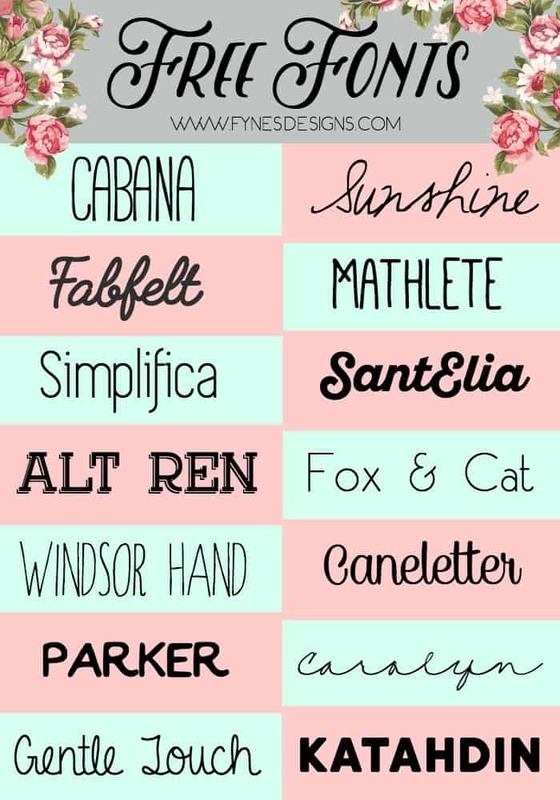 Thanks for sharing these great fonts!